October | 2015 | Franchising You. Needless to say, California is a state where many potential customers have access to the TWO MEN AND A TRUCK® system. With more than 50 viable marketing areas across the state, California is a huge piece of the development puzzle for the TWO MEN AND A TRUCK® brand and will help set the tone for the company’s aggressive goals over the next decade. With this in mind, it would seem to make all the sense in the world for TWO MEN AND A TRUCK® franchisees to look at obtaining franchises in California as part of their expansion plan. In fact, it will make complete sense for some, but not without remembering the old adage that “nothing good ever comes easy.” Despite the large and growing economy, California has a well-deserved reputation as a challenging state in which to do business. Alicia Sorber Gallegos, and her husband Pedro, are multi-unit franchisees in San Diego. They were attracted by the weather, quality of life, and sheer size of the market. They also knew there were unique challenges with doing business in the state. Must be creative. Labor laws, tariff restrictions, real estate costs, and other business challenges present real hurdles; but they can be overcome with creativity. Marketing is essential. Of course, marketing is key to any market. However, because of the vast size of the markets in California, franchisees must have an aggressive marketing mindset and the budget to go along with it. At the end of the day, Alicia and Pedro are very happy to be in San Diego. 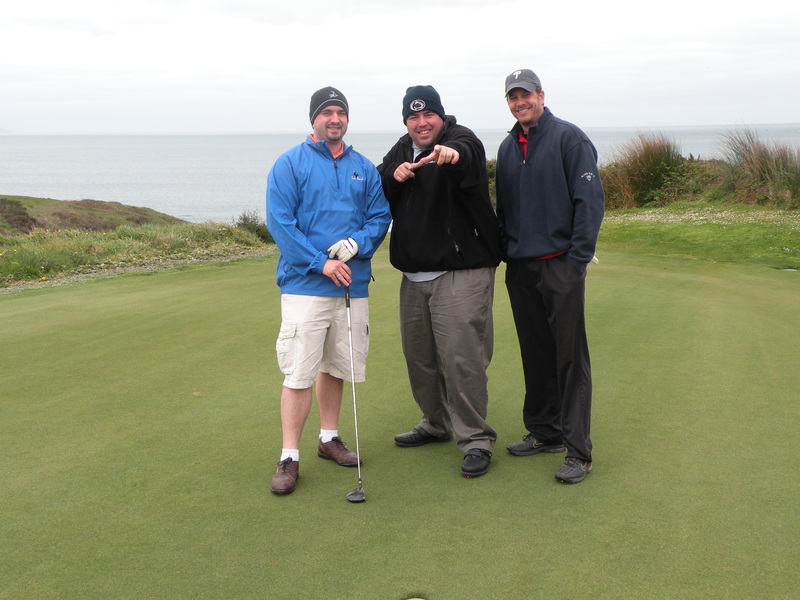 They have learned a lot, and have helped pave the way for future locations. Alicia noted she is excited about the growth of TWO MEN AND A TRUCK® across the state, and she envisions a time when the brand will dominate California like it currently does in many other areas across the country. Franchisees Mark Snyir and Chad Arnold have opened multiple locations in the Sacramento area, and share Alicia’s enthusiasm for California. Mark and Chad have been in California since 2000, and they recently signed an agreement to expand into additional marketing areas, making them sole franchisees in the entire Sacramento market. Mark acknowledges the state presents challenges, but he believes every market has its unique issues. It is exciting to watch the TWO MEN AND A TRUCK® system grow throughout 2015 and see that franchisees are already engaged in planning for 2016 and beyond. 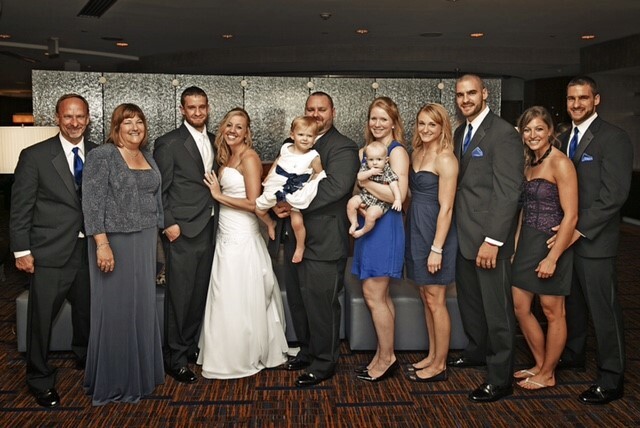 Noelle Burak is the Franchise Development Manager at TWO MEN AND A TRUCK®. She works hard to guide prospects and franchisees through the TWO MEN AND A TRUCK® franchise process as well as create marketing initiatives in key development areas. We can’t help but feel proud of our system for the accomplishments that took place and goals surpassed in Q3. TWO MEN AND A TRUCK® employees share a vision and aren’t afraid to work hard. There is a lot to celebrate as Q3 came to a close! The last 18 months boast double-digit increases with July being the second highest revenue month ever! In addition, we are pleased to have an average referral rate of 95% across the system. “Our dedicated partners and teams are the reason we’re able to accomplish our growth goals,” said TWO MEN AND A TRUCK® CFO Jeff Wesley. 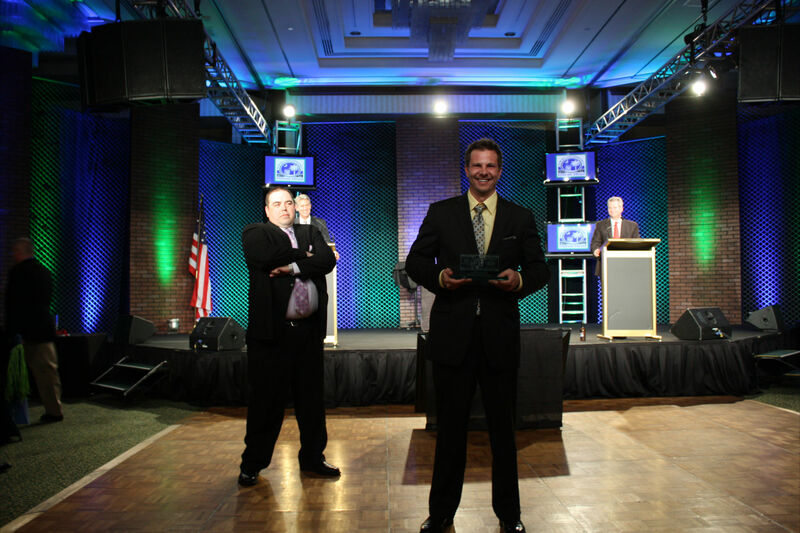 Multi-Unit Franchisee Joey Hale was recognized as Franchisee of the Year by the International Franchise Association (IFA), a top honor among franchisees across the country. Hale, who has been with the system since 1998, began as a mover and driver in Knoxville, Tenn., and is now continuing to expand the brand on the West Coast in multiple cities in California. 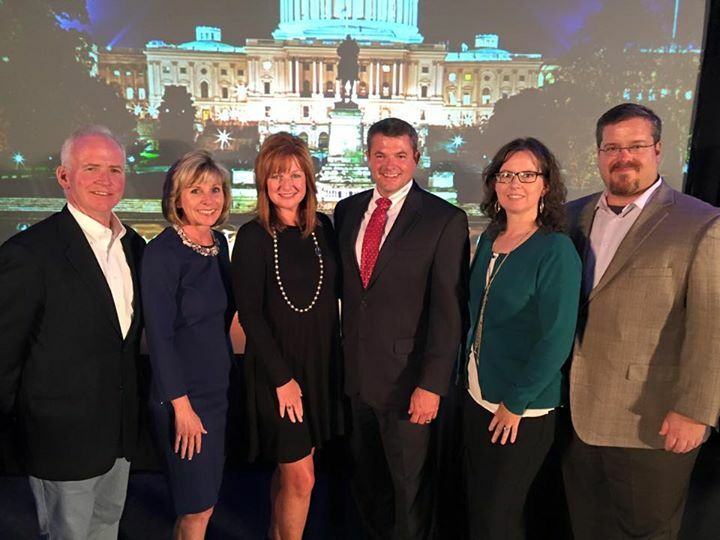 Our newest franchisee, Fred Schaard, signed to open three TWO MEN AND A TRUCK® offices in Portland, Ore., one of our top development markets. Schaard is an experienced financial planner and is a great asset to the system. “We know our company wouldn’t be great without the concentrated efforts from our franchisees and their teams to provide top-notch customer service, diligently working on the trucks and in our customers’ homes,” Wesley shared. To say the first-ever Mary Ellen’s Moving People Forward® scholarship program was a success would be an understatement. 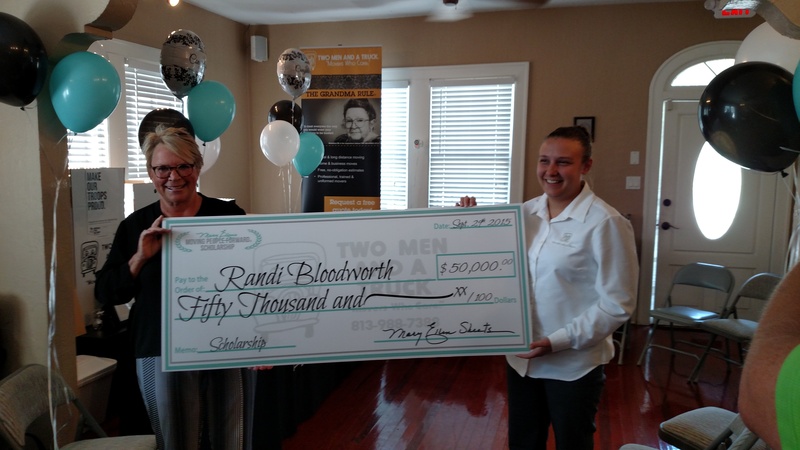 Tampa, Fla., Franchise Manager Randi Bloodworth was announced as the first ever Mary Ellen’s Moving People Forward® scholarship winner and received the surprise of a lifetime when Mary Ellen presented her the $50,000 check. By March 2016, she will be expanding the brand into Pearland, Texas. Two of the seven managers who were initially a part of the program are now current franchisees, and the remaining participants were awarded $10,000 that will go toward opening their own franchise, as all of the managers plan to open their own TWO MEN AND A TRUCK® location in the future. We’re exceedingly proud of the entire TWO MEN AND A TRUCK® system for the continued dedication and constant hard work put in by each team member. We are excited for the accomplishments that will be made in Q4! It was just like any other Tuesday for TWO MEN AND A TRUCK® Tampa, Fla., Franchise Manager Randi Bloodworth. Little did she know the surprise of a lifetime was waiting for her. Founder Mary Ellen Sheets and a small team from TWO MEN AND A TRUCK® International traveled to the Florida franchise on Sept. 29, 2015 to personally announce Bloodworth as the very first winner of Mary Ellen’s Moving People Forward® scholarship program: she was presented with a $50,000 check to cover the franchise fee of her new location. TWO MEN AND A TRUCK® International launched the Mary Ellen’s Moving People Forward® scholarship program during the spring of 2014. The inaugural program began with seven managers from across the system, each undergoing extensive training to further enhance their knowledge of the inner workings of the franchising system, and to help lay the foundation for them in becoming a successful franchisee. As the winner of the program, Bloodworth was awarded $50,000 that will go toward opening her own franchise. By March 2016, she will be expanding the brand into Pearland, Texas. As outlined in the program’s agreements, Bloodworth will have ownership of the location with multi-unit Franchisee Larry Knowles, multi-unit Franchisee Ryan Knowles, and multi-unit Franchisee Jeff Knowles. Randi is excited for this next step and the future of her Pearland location. To say the first-ever Mary Ellen’s Moving People Forward® scholarship program was a success would be an understatement. Two of the seven managers who were initially a part of the program are now current franchisees, and the remaining participants were awarded $10,000 that will go toward opening their own franchise, as all of the managers plan to open their own TWO MEN AND A TRUCK® location. 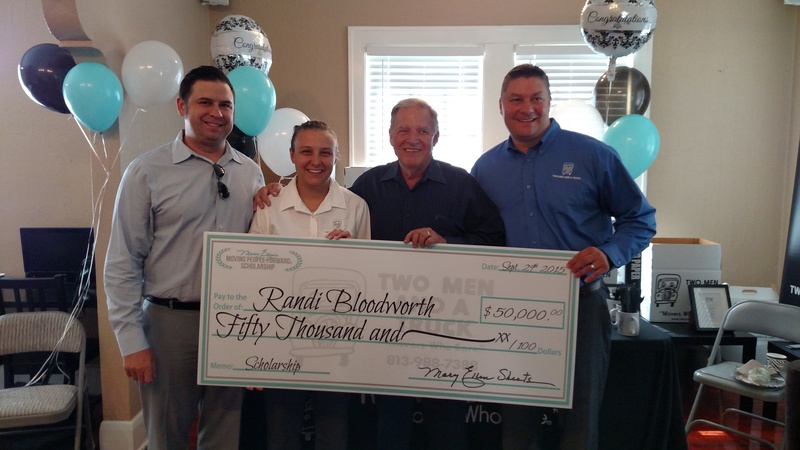 Congratulations, Randi, TWO MEN AND A TRUCK®‘s newest franchisee! The entire system is so proud of you and we cannot wait to see your future success as you grow the brand within the Texas market. After 17 years of being a stay-at-home mom, Karen Miller made the exciting decision to begin her journey with TWO MEN AND A TRUCK®. Karen started out at the Lansing, Mich., franchise location as a part-time data entry assistant before moving into an accounting assistant position, and then transitioning into the role of office manager. Shortly after, she worked her way up to accounting support team lead at the corporate office. 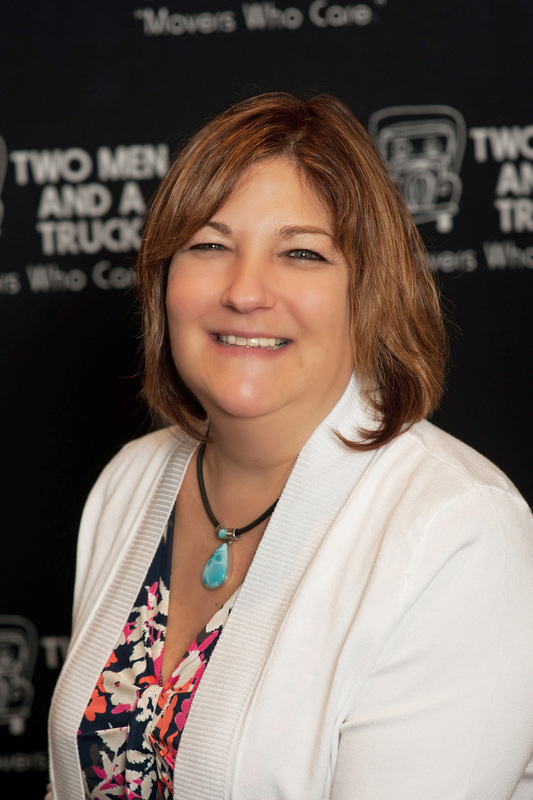 After spending nearly nine years in the system and realizing the passion she had for the franchise life, she opened her very own TWO MEN AND A TRUCK® franchise in Norfolk, Va., April 2015. What is the biggest difference between your role at corporate and life as a franchise owner? You ultimately get to see the “big picture”. You realize all of the hard work and effort that gets put into every position verses when I was only a part of the accounting department at corporate … and it’s very fulfilling. You see that you truly have to be a team who strives toward the same goal, working as one. Seeing your employees grow and showing core values such as “be your best and have fun” on a daily basis is a very rewarding feeling as a franchise owner. Has there been a particularly memorable or most enjoyable moment as a franchisee thus far? I would say to watch an employee that is struggling and then, all of a sudden the lights seem to come on and they turn into a fantastic employee. Getting to see their appreciation for you giving them the opportunity to improve is a really good feeling in the end. How do you balance being a newer franchise owner, wife, mother, and grandmother? I find it hard to balance at times. My children are in Michigan and South Carolina. Although I am away from my children and grandchildren, we still talk constantly and we Facetime. Fortunately my family is very supportive! I am also very lucky to have a great general manager and reliable office staff that allow me to leave for a short period of time and I still know that everything will run smoothly when I’m gone. What is one piece of advice you’d share with someone thinking about becoming a franchisee? I would have to say “go for it”! It’s a great company and the support from the corporate office makes it so much easier. They want you to succeed as much as you want to succeed! !